Learn about the potential to be found in 'grit,' 'pre-suasion,' explosive growth and other strategies these authors describe. Reading is one of the best ways to expand your knowledge and learn new skills. And growth-hacking is definitely one of those skills you'll need to learn if you want your startup to skyrocket. The term "growth-hacking," in fact, refers to the strategy of experimenting with marketing, product development, sales and other areas to determine the most effective way to grow your particular business. Of course, your startup's budget may be small, but growth-hacking is a tactic you can use to boost your sales without spending a fortune. There’s a wealth of information out there to help you become an expert growth hacker. But where do you start? Take a look at these seven growth-hacking business books you need to read. 1. 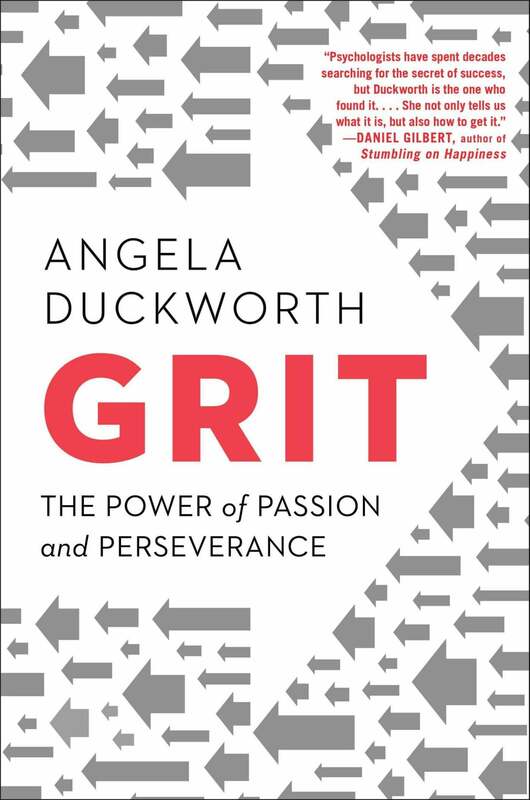 "Grit: The Power of Passion and Perseverance"
A New York Times bestseller, psychologist Angela Duckworth's Grit takes a scientific look at what drives success -- and that doesn't have to mean being a genius. Instead, the "grit" she writes of is actually a combination of passion and long-term perseverance. Duckworth, a celebrated researcher and professor whose TED talk has been viewed over eight million times, shares valuable lessons on how grit can be learned regardless of one's IQ or circumstances. She also teaches about how to trigger lifelong interest -- and so much more. This book is the perfect read for anyone who has ever doubted his or her own “genius” or ability to succeed. 2. "Pre-Suasion: A Revolutionary Way to Influence and Persuade"
Want to become a truly effective persuader? 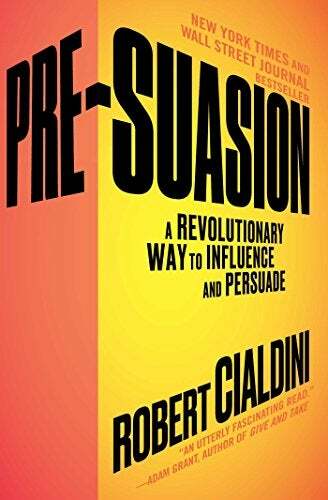 Pre-Suasion, by Robert Cialdini, an expert on effective persuasion, explains in his book that it’s not necessarily the message itself that changes people’s minds but the key moment right before the message is delivered. By giving this book a look, you’ll learn how to make people more receptive to a message before they receive it. You can get your target audience to say “yes” to your company every time with the techniques Cialdini provides here. 3. 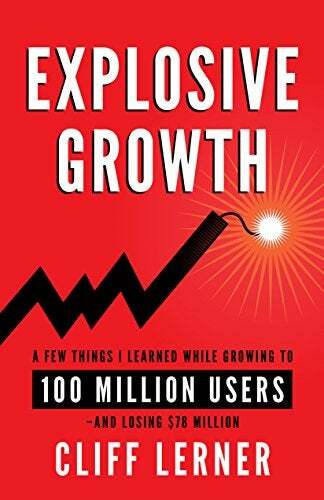 "Explosive Growth: A Few Things I Learned While Growing to 100 Million Users and Losing $78 Million"
Want to know how to grow your startup to 100 million users? Then this is the book for you. Explosive Growth, by Cliff Lerner is a book that gives step-by-step instructions, case studies and proven tactics on how to explode your growth. You’ll learn how to ignite explosive growth by creating a superb product, explore viral growth strategies and master how to implement the genius media hacks that helped Lerner’s Facebook dating app, AreYouInterested, gain 100 million users. 4. 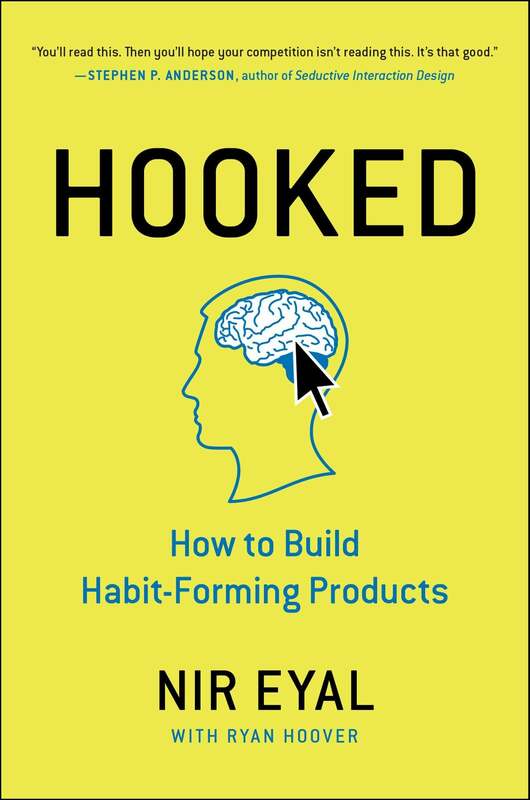 "Hooked: How to Build Habit-Forming Products"
Hooked by Nir Eyal is a book that answers questions such as why some products capture major attention and others flop, what makes us engage with products out of habit and how certain technologies hook us. Eyal answers these questions and many more in this how-to guide to building better products. His book will come in handy for any entrepreneur, inventor or innovator who wants to create products consumers will obsess over. 5. "Hacking Growth: How Today’s Fastest-Growing Companies Drive Breakout Success"
Sean Ellis, CEO and cofounder of GrowthHackers.com, and Morgan Brown, COO of Inman News, have put together Hacking Growth, an amazing book that’s an accessible and practical toolkit that companies of all sizes and in all industries can use to increase their customer base and market share. 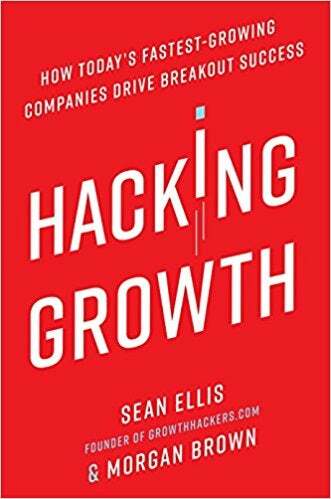 Hacking Growth is a must-read for any marketer, entrepreneur, innovator or manager who wants to replicate the growth-hacking strategy and data-driven, cost-effective results used by some of the biggest companies in the world, like Pinterest, Uber and LinkedIn, to get to where they are today. 6. 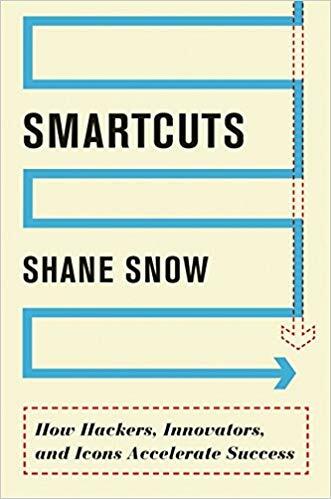 "Smartcuts: How Hackers, Innovators and Icons Accelerate Success"
Smartcuts is by Shane Snow, an entrepreneur, journalist and cofounder of Contently. This book takes a look into companies and the lives of people who have done amazing things in an unbelievably short amount of time. Snow talks about how those he profiles obtained the success they did by employing a method called lateral thinking. Lateral thinking solves problems through an indirect and creative approach that views the problem in a new and unusual way. If you want to know how some startups have gone from zero to billions in a short space of time, this is the perfect read for you. So, if you want your startup to be a success, add these books to your shelf. Start reading and get ready to learn some growth hacks that will take your business to levels you've only dreamed of.